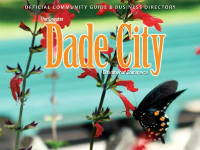 "To promote economic growth & quality of life in the Greater Dade City Area"
Shop, Dine & Explore all that Dade City offers. The Dade City Chamber makes business a priority. View demographics & learn about your community. Learn what membership has to offer. Welcome to The Greater Dade City Chamber! Our Chamber is actively involved in many aspects of business and community in our area and we encourage your participation, input and involvement. To make the most of your membership, the Chamber offers numerous opportunities. Join a committee that focuses on a topic that interests you, volunteer your time with other members, utilize our networking events or sponsor a Chamber function. Being active in the Chamber, using your skills and working with others in our community are great ways of taking advantage of your investment. Members are the key to a successful Chamber – you are vital to our mutual success. View the Community & Business Directory online! Learn more about Partnership Benefits. 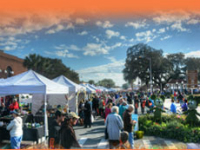 Get Involved - check out your Dade City events. Check back soon for more information on our Spotlight Partner! Visit our "News" pages under our Members or Visitors Centers for our Newsletters (Current & Past).